In this SEASON FINALE of the profit CNBC, Marcus Lemonis is in Key-port New Jersey visiting Mr. Green Tea a gourmet ice cream company. Founded by Santo Emanuele in 1968, Mr. Green Tea has continued to produce top quality hand crafted exotic ice cream. 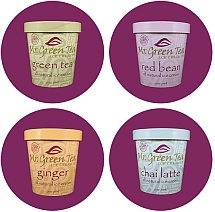 Mostly supplying New York citys’ Asian restaurant market, Mr. Green Tea boast flavors like green tea, ginger and red bean. Now run by Santo Emanueles’ son Richard and his family including wife Lori and his son Michael. Unlike other businesses featured in the profit, Mr. Green Tea is not facing financial problems or closing doors. The business generated $2,500,000 in the year of this episode taping (2013) providing the family a very good living. The main problem facing Mr. Green Tea is stagnation. 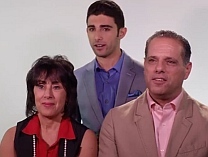 The lack of taking the right decisions to help the business grow is causing tension in the family. Mr. Green Tea doesn’t seem to expand as the family wants it to and they look to Marcus to help out. No new flavors in over a decade. Still not well situated in the retail market. Co-packing used to produce the ice cream sucking up 20% of the profits. No possibility to fill orders due to limited co packing slots. Start developing new flavors and expand the client base. Become an house hold brand. Stop relying on copackers by building a production facility. New graphics and logos for the new brand. Marcus offers Mr. Green Tea $600,000 for 35% of the business. Richard counters with the idea of giving royalties instead of giving up percentage ownership of his business. Marcus says he wants to get a piece of the action and he believes in the business succeeding. The business is safe for him to invest in and his return on investment will be good. Richard says he has to think about it and Marcus writes a check for his investment amount and puts it on the table. The family is impatient and waits on as Richard thinks about it. We start to see that Richard is a very meticulous conservative guy and this may be keeping Mr. Green Tea from growing. Marcus steps outside for the family to talk about it. The other members are ready to take Marcus’ offer but Richard is scared to take the risk. After questions and doubts are answered, Richard takes the deal and everyone is happy. Marcus then goes on to say his famous “catch”. He needs control for a week. It is all agreed on. So the whole deal with Mr. Green Tea is the scaling of the business. This simply wont happen without the elimination of the co-packers and opening of an in-house production facility for ice-cream. Michael takes Marcus to see a potential abandoned factory that could be the production facility of Mr. Green Tea. Being in the path of hurricane sandy, the building was totally devastated and in need of huge repairs. Michael says it could take around $600,000 to get the building back in shape for ice cream production and Marcus wants to make sure his numbers are right. The fact that the company stands to make an extra 20% margin by having in-house ice cream production is an enticing one, but the numbers have to be right. After the deal is agreed on, Marcus focuses on creating more flavor of ice cream. Michael wants to launch a whole new brand in the gelato market called “SOLO GELATO” meaning “only gelato” or “1 taste gelato”. Marcus wants to have a more general brand than Mr. Green Tea. By having a general brand, the company will be able to expand into various products. The family agrees with the idea and start working on it. Next in the episode, Michael calls the bank to buy the factory premises. A negotiation battle ensues between Michael and the bank until Marcus has to step in. Marcus shows his true brilliance here when he offers the bank to buy their position on the loan. This way he is able to get the warehouse as well as the other pieces of properties placed as collateral for the loan. With the ware house in foreclosure, Marcus can offer to buy the bank note and not only get the ware house, he would get the properties tied to the loan as well. By liquidating the other pieces of property he could lower his investment from $240,000 to $140,000. The bank agrees and the deal is made. Marcus goes ahead and shows the Emanuele family drafts of the new graphic designs for logos and new brand “solo Gelato”. They all love it, even Richard. In the next scene, Michael roll up in a new fiat 500 wrapped in Mr. Green Tea branding. It has a fridge installed and Michael plans to use it to test the retail potential of the brand by selling ice cream from the car in new york. For the family, it’s is not just a surprise but a waste of $18,500. That is a lot of ice cream to sell to recover the costs. Richard is furious. Looks like Michael is having problems figuring out his numbers. The papers of the deal for the ware house arrives and Richard is overwhelmed with the pace things are moving forward. Marcus takes him for a walk and explains to him that the deal is a good deal. His money will be made back easily as the economics are favorable. His margins will take care of the factory purchase and make a return very quickly. Richard finally sees the light and is ready to move forward. Cleanup is finally underway at the facility and it all looks good until Marcus finds out that the $600,000 mentioned by Michael was very wrong. It will cost a full $1,300,000 to get the factory ready to produce. More than double the amount. Marcus has a stern conversation with Michael and reminds him that its HIS money on the line. He still intends to move forward with the deal but it will take him longer to make back his return on investment. With the factory online and producing, it will be one of the best ice cream facilities on the east coast with huge potential for the Keyport community. The factory is now scheduled to open soon (at time of taping) and with the million dollar order waiting to be fulfilled, it looks like Mr. Green Tea is finally on track to double its revenue in the next year. With the co-packer gone and the factory producing, the margins will automatically double from $450k to $900k. Keyport Creamery (the new brand) is well under way to become a household name. Michael is pushing the MOCHI and SOLO ice cream product sales with his FIAT 500 with fantastic response. Mr. Green Tea is looking at retails space in New York City. The brand is continuing to grow its restaurant clientele and the ice cream making equipment is on its way over from Italy and once installed will make MR. Green Tea the most state of the art ice cream production facility in the east coast of America. It will produce 1,600 gallons of Ice cream a day, it will have 18,000 cubic ft of freezer space for product storage. The major of Keyport has given the business the citys’ stamp of approval to build the factory. To cap it up, the father-son relationship is at an all time high. Feel free to comment below and let us know what you feel about the episode and characters in it. Thank you so much this show is awesome! I’m not sure who writes the summary, but if it’s affiliated with show, shame on you. There are numerous typos and errors. Proofread before publishing!! We are not affiliated with the show and are horrible writers. But we are huge passionate fans. Keep doing what you’re doing Rob. How about giving these guys some credit. The website clearly says profit fans. If you truly believed this was published by the show shame on you. Keep up the good work profit fans! How did they start the renovations the day after buying the note? When you buy a note you don’t get the right of possession until you have foreclosed. Because in TV Land, tomorrow isn’t really tomorrow and if I bought the note FROM A BANK, I don’t think the bank is going to mind me starting my remodel- they got their money. Glad you watched the episode. Why do you plan to visit the facility however? Are you looking to sample everything for free? Interested to hear what your intentions are Mr Burns. Great episode, but it appears they did not follow-through on the branding changes? I wish Marcus had one if his assistants update things from his perspective. Has he profited from his investment yet? Would like to know how each of them have panned out thus far. I hear what Melissa is saying. Although, proofreading is best – I am still very, very, very grateful for you going out and putting this web-fan site together, Admin Rob. It’s really just about jumping in and seeing what happens. Now, I am requesting. Let’s email and we can talk. I would like to assist. What happened to the Solo ice cream idea with the new flavors? I also have to agree with Melissa, this is my first time on this site and I am already turned off by the errors in spelling. Punctuation and the like, not as big a deal, but the wrong use of tenses, etc. makes the read quite bumpy instead of smooth, is annoying and it does not matter if you are not that good of a writer- you only need to be a good proof reader ! I haven’t seen any writings that are that lengthy that you couldn’t scan them real quickly. I think the “tenses” are not getting caught because spellcheck doesn’t grab it when it says “I thinks show is bad” because no words are actually misspelled. Look at it this way- you love Marcus, you love the show- you obviously put alot of work into it and you have a disclaimer about not being part of MSNBC, etc. BUT, you still are representing Marcus ( hence the disclaimer ) and do you really want to represent him with the sloppy type-o’s etc ? I think Marcus would have to pull out of this site………kidding- I am glad you have this site- but clean that grammar and type-o’s up, it is really really annoying. See ? How rough was it to read that last sentence of my previous comment ? ( Like how I covered up my own error ? ) Damnitt ! put an “edit” button in also !!!! I would like to ask one serious question, though. When you say the “father/son relationship is at an all-time high” and make other comments like that- who are you fact-checking this with as I see alot of “facts” that seem to be opinions. This is a review of what is seen on screen, They could be trying to kill each other in real life. We cant know that. My name is Helcio Furlan and I live in Brazil. I have seen the TV show “The Profit” and one of the episodes was with Mr. Green tea. I was surprised when I found the site of Mr. Green Tea on the internet. The agreement with Mr. Marcus Lemonis was not to change the company name to Keyport Creamery? Where are the new products of the family “SOLO GELATO” shown in the program? Thank you for your attention to solve my curiosity.